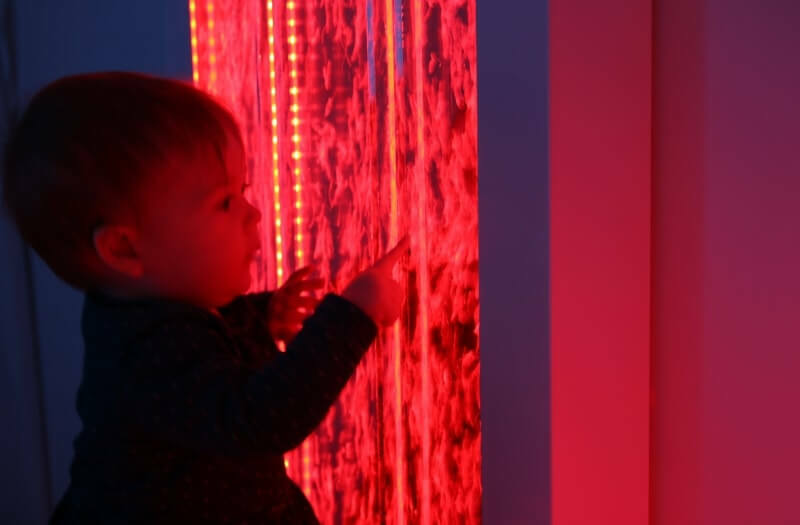 The Interactive Sensory Bubble Wall is designed to work with one of our interactive controllers: The Sensory Remote Control or the Dice Controller. 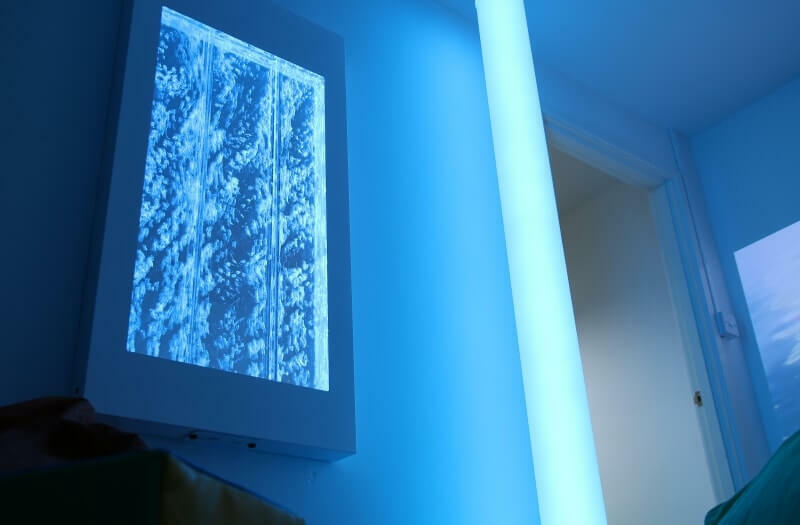 These devices are fully compatible with the Interactive Sensory Bubble Wall as they are used to change the colour of the lights and flow of the bubbles. Easy to drain and fill with clear access points. Top up your Interactive Sensory Bubble Wall with BCB fluid regularly to keep it in good shape. 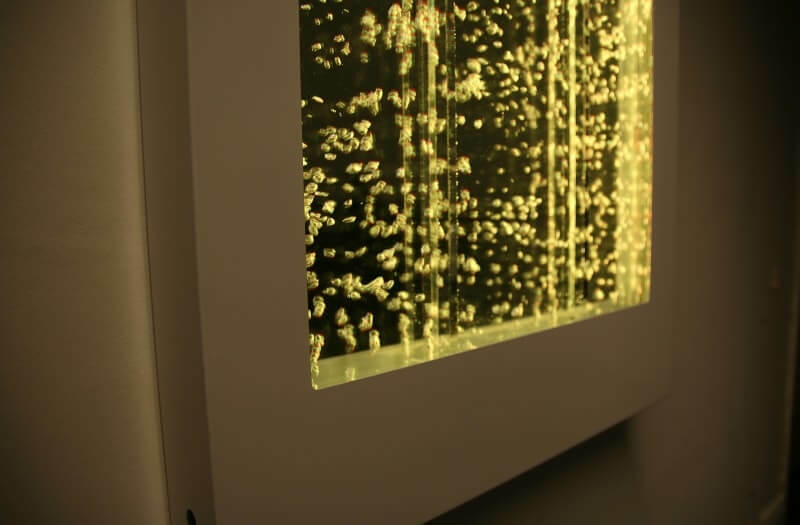 The Interactive Sensory Bubble Wall is a perfect addition to any sensory room, reception area or even waiting room due to its calming properties and unique focal point. The Interactive Sensory Bubble Wall is a great benefit for sensory stimulation and helps with visual tracking movement to keep a user engaged. The bubbles rise and gently float back down to create an interesting pattern. 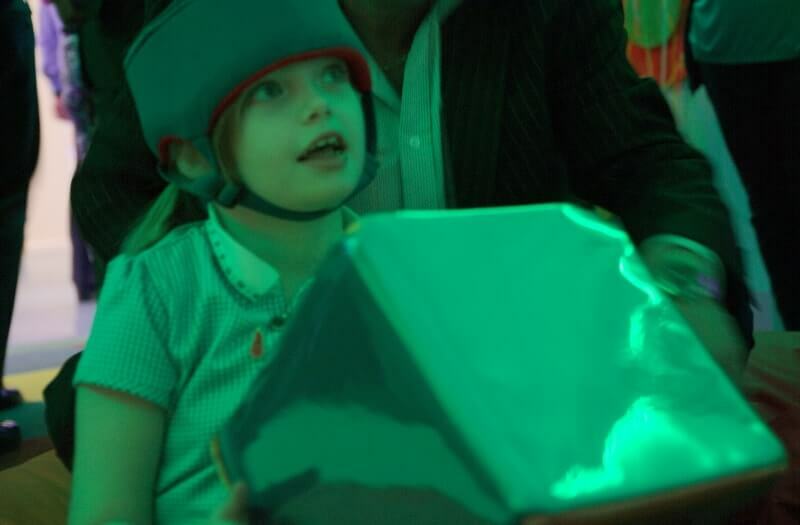 The Interactive Sensory Bubble Wall is a great water-based piece of sensory equipment that uses switch access control. 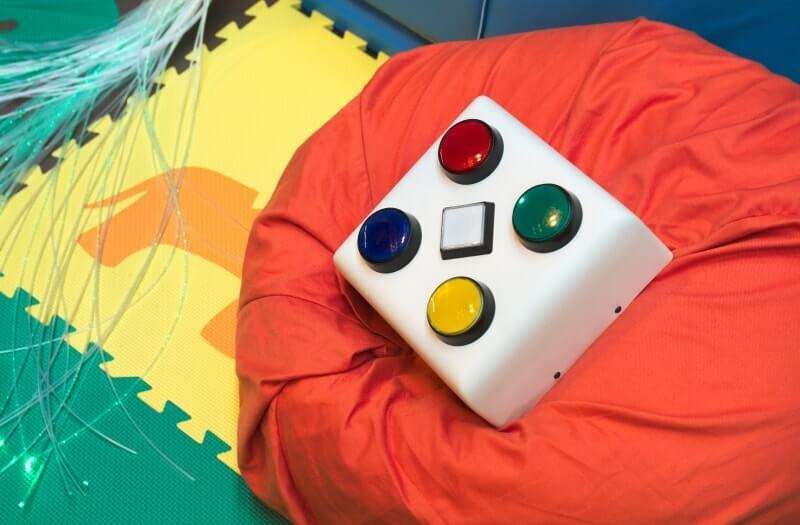 Using the Sensory Remote Control gives the user the ability to turn on and off the bubbles resulting in cause and effect learning as well as promoting visual tracking skills. 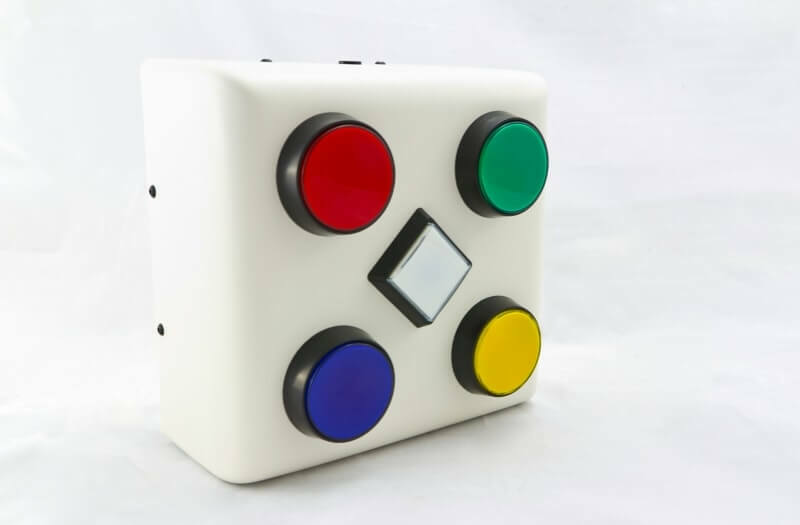 There are four coloured buttons and one central white button (to control the bubbles) on the Sensory Remote Control, it is ideal for wheelchair users because of its portability. Simply charge the controller when required using the included charge pack. Using the Dice Remote Control is ideal for a more active sensory experience. 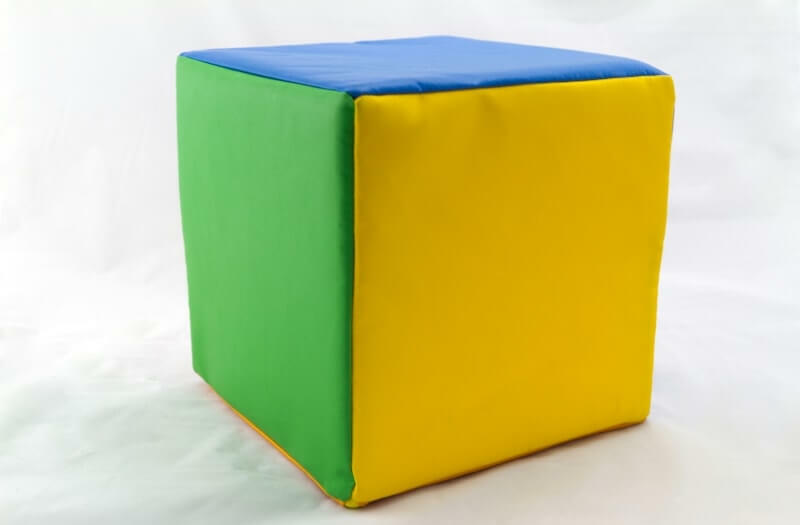 The soft padding of the dice allows the user to roll the dice on the floor, the colour face it lands on will change the colour of the bubble wall to that corresponding colour.